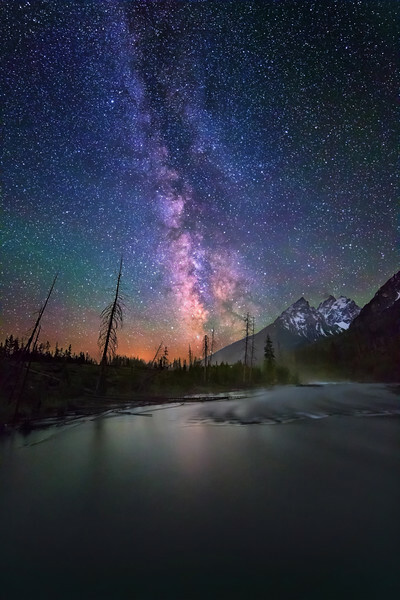 Mist rises from the south end of String Lake as it reflects the Milky Way and flows into Jenny Lake. Teewinot Mountain is on the left, Middle Teton on the right, and Grand Teton is in the middle from this angle. Grand Teton National Park. Silhouettes of dead trees are from the Alder Fire, cause by lightning in 1999.